Management of healthcare waste in low- and middle-income countries lacks a straightforward solution, especially where rural health services are provided. The purpose of our case study was to explore the knowledge and practices of health surveillance assistants operating at rural village health clinics in Ntcheu District, Malawi, with regard to the collection, segregation, transportion, treatment, and disposal of healthcare waste. Data were collected from 81 clinics. The results indicated that while general gaps in both knowledge and practice were observed, sharps (e.g., needles) management was generally being done well. An opportunity for scale-up was found in one clinic, in which local materials had been used to construct a low-cost innovative sharps disposal receptacle that had been modified from a pit latrine design. 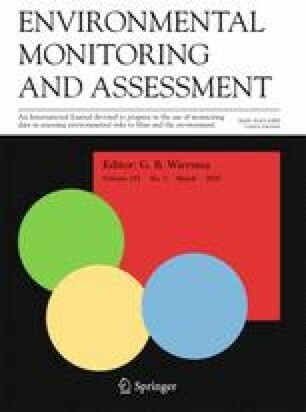 This study recommends waste management training suitable for rural settings, the promotion of low-cost sharps disposal receptacles using local materials, further opportunities for low-cost incinerators, central waste collection, and encouraging grassroots innovation in healthcare waste management. The online version of this article ( https://doi.org/10.1007/s10661-019-7306-6) contains supplementary material, which is available to authorized users. The authors greatly appreciate the technical editing by Jake Stillwell. This work was supported by the Ntcheu District Health Office under the Ntcheu District Council. Ethical clearance for the study was approved by the Malawi Government, National Commission for Science and Technology (Protocol Number P09/17/210 on 26 September 2017). Informed consent was obtained from all individual participants who were included in the study.